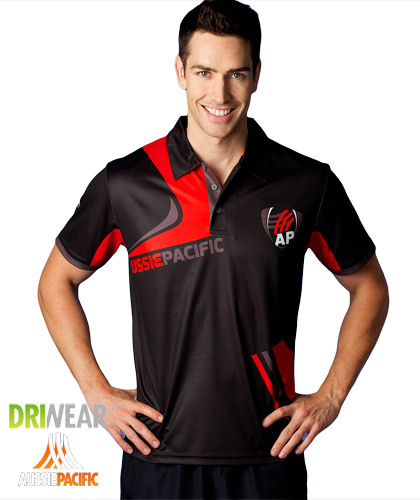 process of creating a unique team shirt, jersey, tee shirt or singlet etc. you through the amazing Sports Lab Design Centre or try it yourself now. 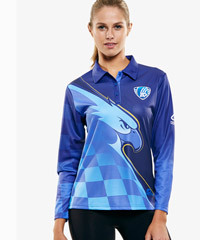 , textures, Club mascot logo's and Corporate Sponsor logo's. Additional graphic services such as On-Field Player NUMBERS, NAME Lettering are also available. from your skin and is treated with a microbial (anti-bacterial) treatment to ensure unwelcome body odours do not remain in the garment. Ink colour matching using PMS Colours available for perfect reproduction of your official colours. Images will not fade, crack or fall off. Low minimum order 50 pcs. on this item is also 50 pcs. 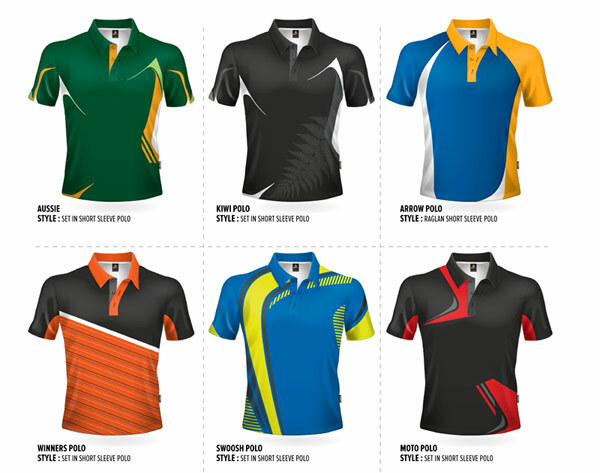 As a guide, here are the prices for a fully sublimated polo. Prices can be confirmed based on your requirements and fluctation of Australian Dollar. Standard Creative Design & Artwork Set Up is $120.00 + 10% GST. Ladies: 6 to 26, Kids/Students 4 to 16.